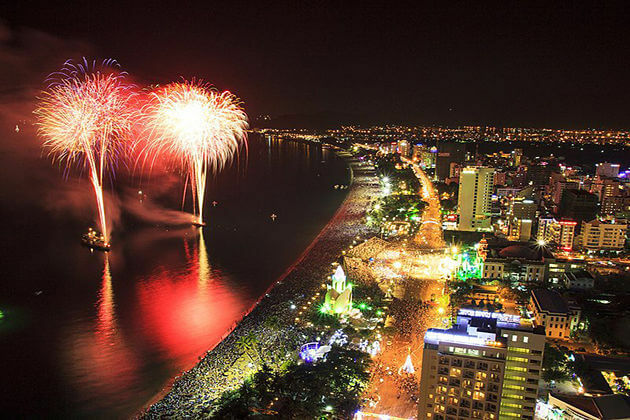 Have you ever spent your Christmas holiday in a foreign city like Hanoi Christmas in Vietnam? 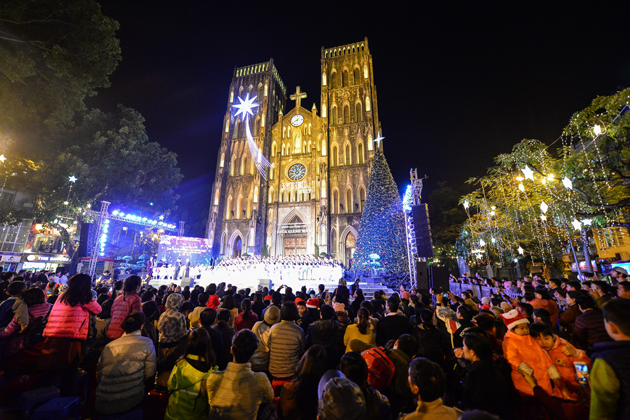 Although Christmas is not the official holiday in Vietnam, global integration brings the festive ambiance and interesting activities to this S-shaped country. 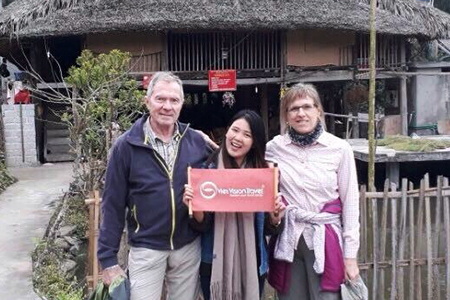 Make your wonderful occasion with unique and different feelings and experiences by paying a visit Hanoi. Saint Joseph’s Cathedral (40 Nha Chung Street, Hoan Kiem, Hanoi) is one of the most fascinating and famous highlights of Hanoi. It is also the oldest Roman Catholic site in Hanoi and its astonishing architecture is quite similar to that of Paris’s Notre Dame Cathedral. Even many people said that they feel like getting lost in Paris as coming to this landmark. Before Christmas, the church will be decorated with many trees and colorful items both inside and outside. 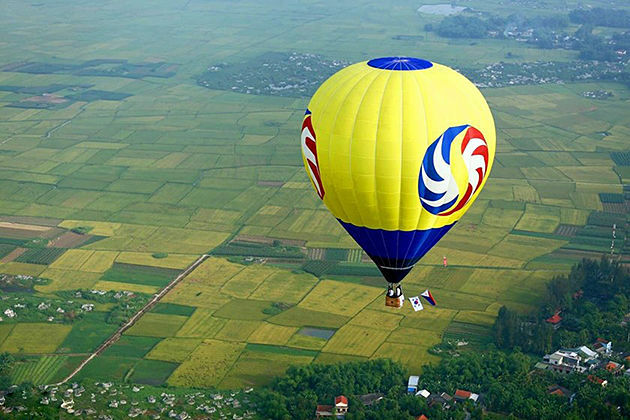 Visitors can enjoy an impressive atmosphere and get happy moments. Praying in the church is indispensable for people who are Christians in the night of Noel. Therefore, they can take notice of the time for praying events in order to go inside the cathedral. 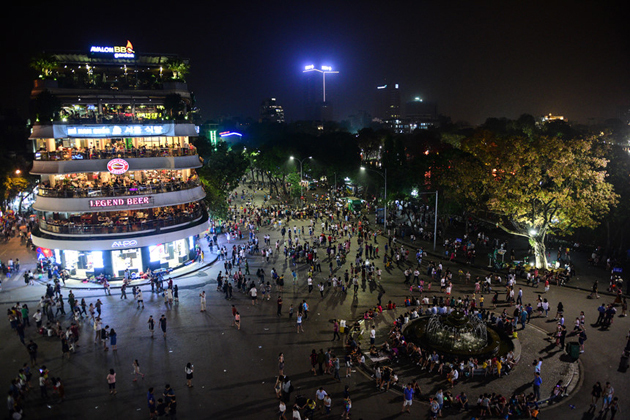 Pedestrian streets at the weekends in Hanoi which are from Friday evening until the end of Sunday and around Hoan Kiem Lake (Sword Lake), have opened since 1st September 2016. This is a favorite place of many people who hang out with friends, do exercises or go for walk to enjoy the fresh air. During the time, not only at Christmas time, there are a lot of exciting activities attracting both locals and visitors. For instance, traditional folk games such as tug of war, mandarin, square capturing, shuttlecock kicking are the most highlight. In addition, there are also some art or music performances on the streets. 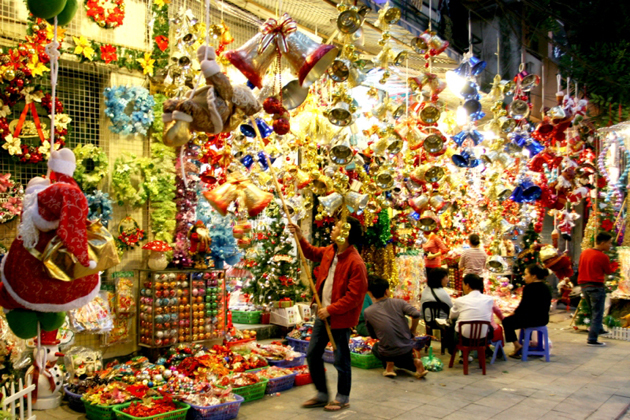 You can also enjoy the decorations of Christmas around this place with many colorful items. Vietnamese Sandwich: bread with chicken, pork, sausage or egg for vegetarians along with fresh vegetables, cucumbers and sweet or chili sauce. Che: a traditional sweet dessert with main ingredients such as green or red beans and jellies or fruits. Banh Gio: pyramidal rice dumpling. Xoi: a common food made from sticky glutinous rice steamed or cooked. Nem: Vietnamese grilled pork sausage or grilled meatball. Egg coffee: made with the addition of egg yolk and condensed milk with sugar. 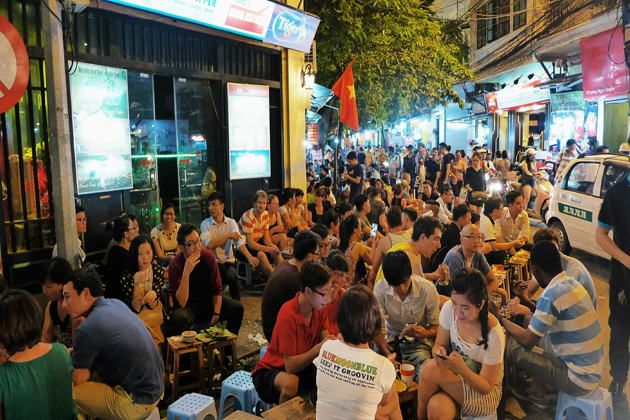 Besides, there are also many other delicious street foods around Hanoi old quarter attracting teenagers and young people. Hang Ma, located in the heart of Hanoi Old Quarter, is very attractive on the Mid – Autumn Festival in Vietnam. On the Christmas occasion, Hang Ma Street is also bustling with a lot of visitors who love to enjoy the most sparkling street in Hanoi Old Quarter with a display of lights and ornaments for the event. This street is also a place for people who want to buy items for decorating Christmas trees, gifts and cards with low prices. There are many interesting music performances in the night of Christmas or the night before in Hanoi. 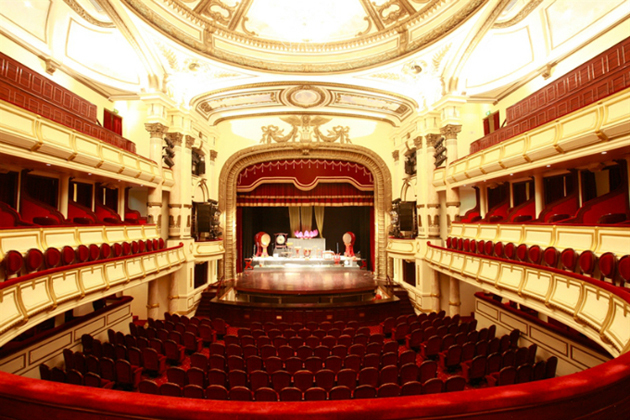 Especially, in Hanoi Opera House, this is a famous place for events of music. It is very fantastic to discover the place if you are music lovers. Many shopping malls launch their largest promotional campaign with shocking sale off on New Year or Christmas occasion. 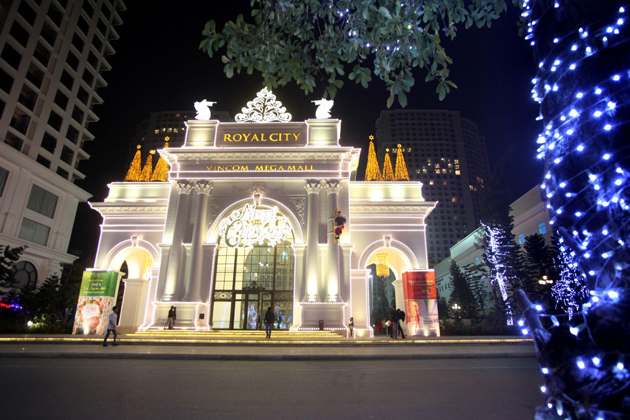 Around the center of Hanoi, shoppers can visit some remarkable shopping malls such as Parson, Vincom Plaza Tower or Garden Mall. It is a very good chance for people to catch up with trends of fashion with best prices. 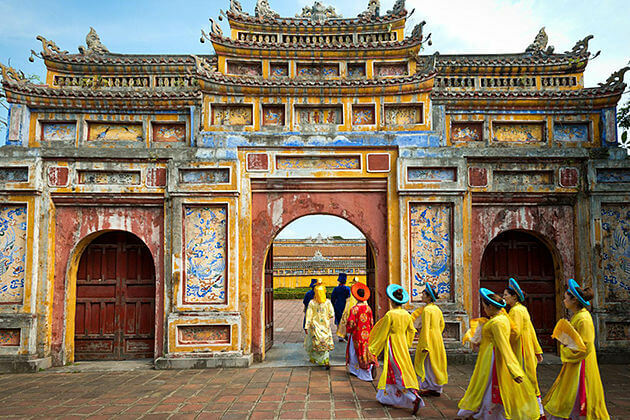 How about experiencing a Hanoi christmas in a five-star hotel with luxury buffet and outstanding performance? Sofitel Metropole Hanoi stands out from the crowd which brings to audiences the mix of 1001 fairy tales in only one night at its La Beaulieu and Spices Garden restaurant. With the price ranging from $40 to $80, you can enjoy one of your most awesome and unforgetable night ever. 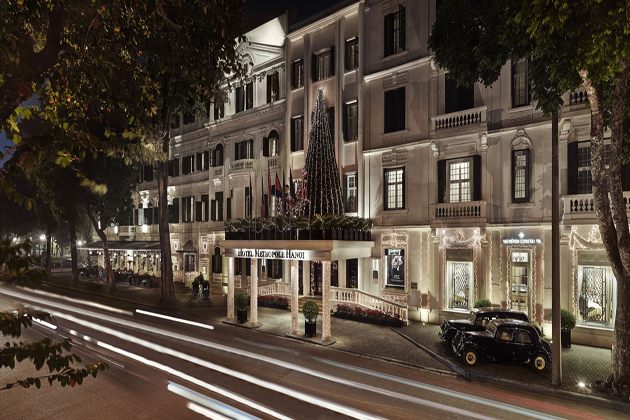 Besides, the lower price will offer you a Christmas Eve at Hilton Hanoi Opera, Melia Hanoi or Hanoi Daewoo. They are still luxurious and astonishing. 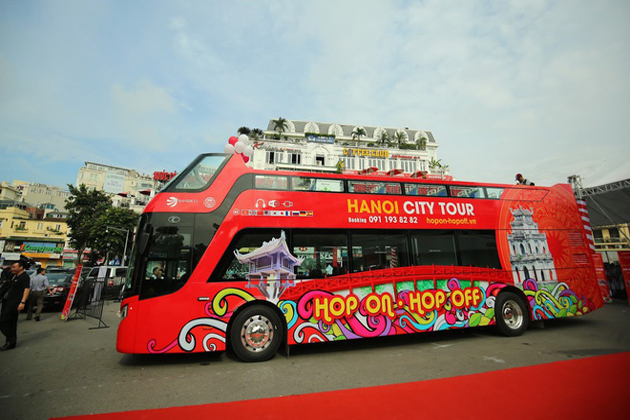 According to Vietnam news, Hanoi has opened the sightseeing city tour with three open-top double-decker buses since 30th May 2018. 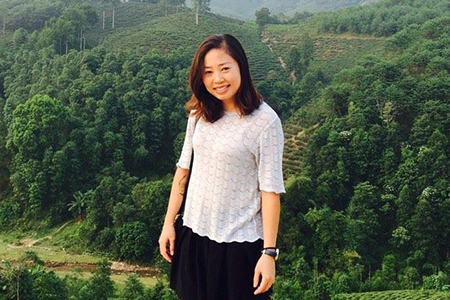 The price for 4 hours is about VND 300,000 (about 13$). In this tour, tourists can discover 30 tourist sites on 25 streets around the city. It is really a fantastic experience to see the city as sitting on the double-decker buses, particularly on the Christmas occasion. Passengers can enjoy hopping on or off the bus and stop at any places if they want to explore. Furthermore, some available services on the bus are so convenient for passengers such as multi-language automated commentary about the destinations, free WIFI, USB charge port, alarm or POS (point of sale). With red England – style bus, tourists have to use the seatbelts for their safety. Also, the disabled, the elders or children can sit on the flat floor. The modern vehicle runs from 9 am to 5 pm and leaves every 30 minutes during the tour. People can continue their tours if their bus tickets are valid.